Interesting , however i would say it is just a error. 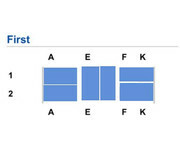 I have found on the Emirates website and app that certain seats especially in J/F are missing and they usually fix themselves once the T-2 months mark hits ( usually when EK select what aircraft is flying what route). m3red did OMAT copy your post or am i just thinking too much out the box !?
. . . . . FlyerTalk member m3red notes that as of December 1, 2017, Emirates shows a new seatmap in first class for their 777 flights between Dubai and Seattle. Points From the Pacific actually wrote the original post referencing m3red's thread which Lucky "reused" (with acknowledgment of course) as many bloggers on boardingarea do. It's not an error it's 1-1-1 and 6 in F starting on the 77w which has been my understanding for a while. Im trying to picture what this layout is going to look like but the 2 blocked seats are just confusing me, perhaps those will be double occupancy, similar to the residence? It's 3 per row, possibly a little similar to the EY Apartment staggered concept, hence the layout like this on the seat map? I think the seats would more likely look like you mentioned. 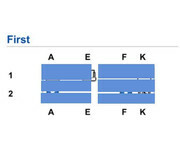 That is, there will be seats A1, E1, K1 on row 1; and A2, F2, K2 on row 2. See link to Business Traveller. About time too! That sounds promising, finally all-aisle-access in J?